Home / News / Philippines / Marcos' Martial Law victim speaks out: "circumstances were different then"
Marcos' Martial Law victim speaks out: "circumstances were different then"
Here's a poignant post by Nonilon V. Queano on his Facebook account. He claims that he was a Martial Law victim under the dictator Marcos' regime. 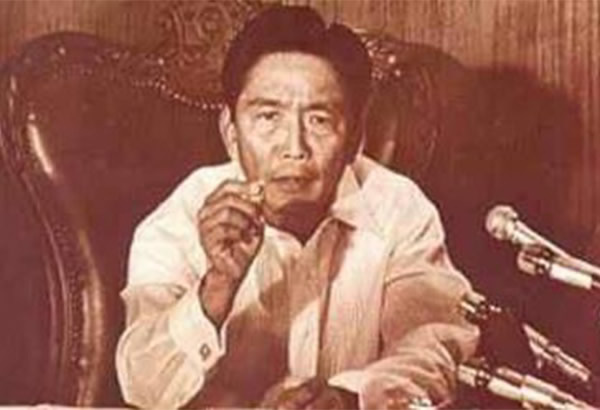 I was a victim of Marcos' martial law regime, but let me say that circumstances were different then -- Marcos was a puppet of American imperialism, and his direct target at the time, were the true revolutionaries (CPP-NPA, the Left, and the oppressed masses of workers) who demonstrated and fought, precisely, against U.S. imperialism, neocolonial subjugation, and exploitation), hence, there were many activists who were detained, "salvaged," or disappeared, among them, intellectuals, artists, writers, labor leaders, -- the best men and women of that generation. Those were the worst times, as Marcos and his military clearly violated human rights ,almost at will perhaps upon the dictates and machinations of imperialist America. Twice, I was picked up and detained/imprisoned with no warrant served, But the situation and the times were different then. This time around, Pres. Duterte, is targetting the agents -- i.e., the CIA-backed ISIS, Maute IS, Abu Sayyaf -- as it were, of the same "big time" terrorist-imperialists whom we protested and fought.against during the Marcos's martial law years. Shouldn't we be more open-minded, even grateful. that Pres. Duterte has now picked up from where many of us have left off in our continuing struggle against imperialism, fascist oppression, and surely, modern-day Terrorism (aka ISIS, Maute, Abu Sayyaf)? As the songwriter/singer Bob Dylan once wrote, "The times, they are a'changin'" ain't they? What do you think of this? Let us know in the comments section.